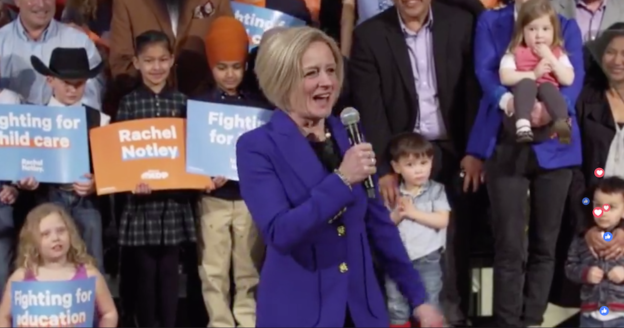 Surrounded by supporters at the National Music Centre in Calgary, Premier Rachel Notley announced that the next provincial general election will be held on Tuesday, April 16, 2019. It is going to be an interested campaign. Find out who is running in your electoral district. This entry was posted in Alberta Politics and tagged Alberta NDP, Albeta Election 2019, April 16 2019, Rachel Notley on March 19, 2019 by Dave Cournoyer. Awesome! Finally the NDP will have to campaign on their own dime instead of wasting more of our tax dollars. Yes reminiscent of the millions spend by Harper on economic action plan ads. How do you stop it though?